Have a pair of mirrors off my 2004 Ford E350. 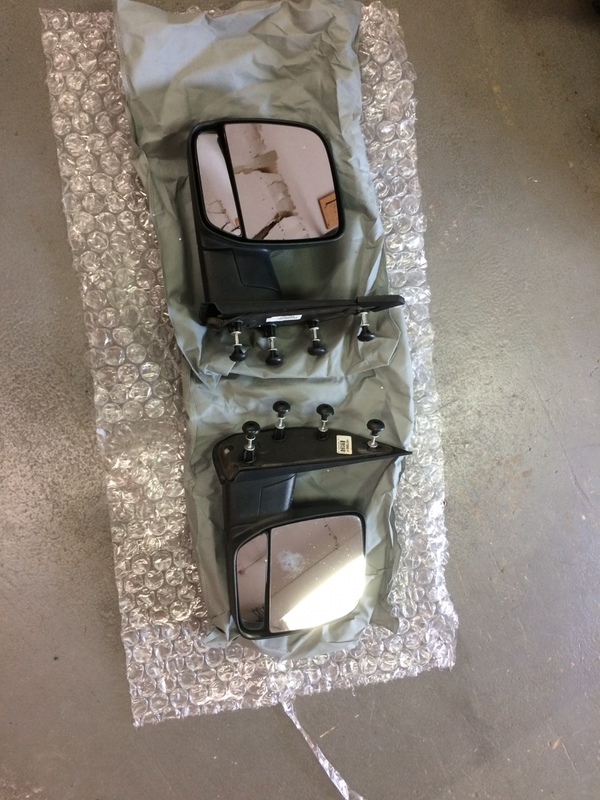 Upgrade to F350 tow mirrors a while back...these are just taking up space in my shop. Here is the CL add http://fortcollins.craigslist.org/pts/6218103893.html. I'll sell to a SMB member for $50.00 plus shipping. Payment can be thru PayPal. If interested send me a PM. Off topic but is there any fab work that needs to be done to fit the tow mirrors? Just realizes since your rigs a 97' you'll have to do some fab work. Cant remember what year tow mirrors I bought for my 97 but the did have the 4 prong attachment so I had to remove one prong altogether and do a little drilling. Everything lined up great and bolted on... the whole process took about 1.5 hrs to do both mirrors. I won't be back till Wednesday or Thursday afternoon , but I think these would make a nice upgrade to my stock ones since they have the built in blind spot mirrors. Bonus is you don't have to ship them! I have these 2 mirrors available. Listed on Craigslist. Both are left side (Driver's). Located in Costa Mesa, CA 92627 but I will ship also.